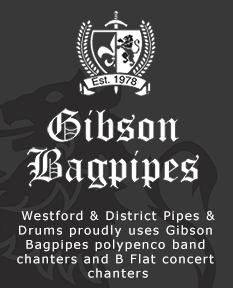 Westford & District Pipes and Drums is a fire service pipe band made up of Public Safety personnel and civilians who support the mission of the band. 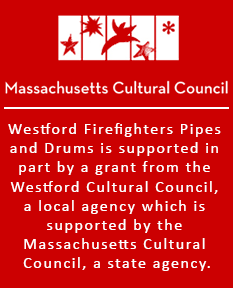 Westford Firefighters Pipes and Drums, dba Westford & District Pipes and Drums, is a registered Federal and State of Massachusetts 501c3 non-profit corporation. 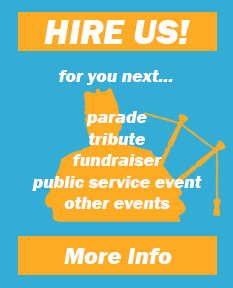 The Mission of the Westford & District Pipes and Drums is to be ever ready when called upon for the passing of any Firefighter or Police Officer as they should never be laid to rest without the honor of Pipes and Drums. 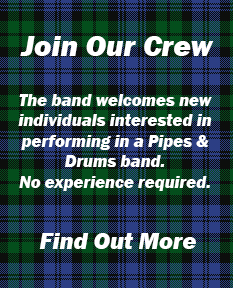 To hold sacred the traditions of the Pipes and Drums bringing honor and respect not only for ourselves but to our profession as Firefighters.